Custom Designed chandelier installation, featuring Feix&Merlin Pendants. 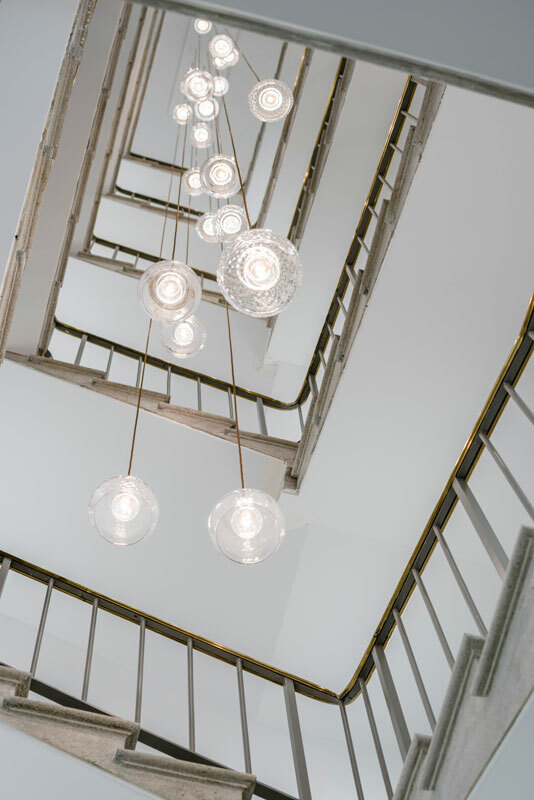 Feix&Merlin have completed a chandelier installation in the main stairwell of an office building by Squire & Partners at New Cavendish Street, London. The Harley Building, recently completed by Squire and Partners, features this dramatic full-height light installation designed by Feix&Merlin Architects. 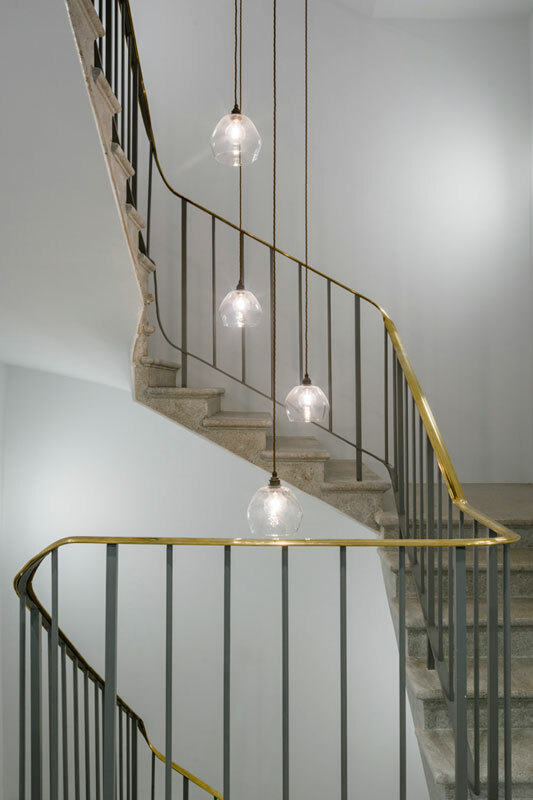 In total, twenty one pendants are suspended over seven storeys in the main stairwell to create the overall installation. 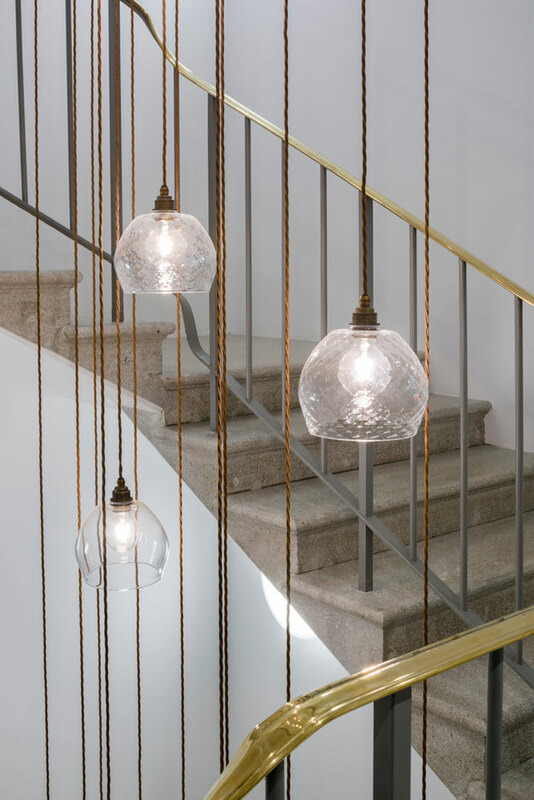 The pendants are all hand-made, in hand-blown glass, and feature two different glass finishes; clear and diamond effect, which cast subtle shadows from the ripple effect in the glass. 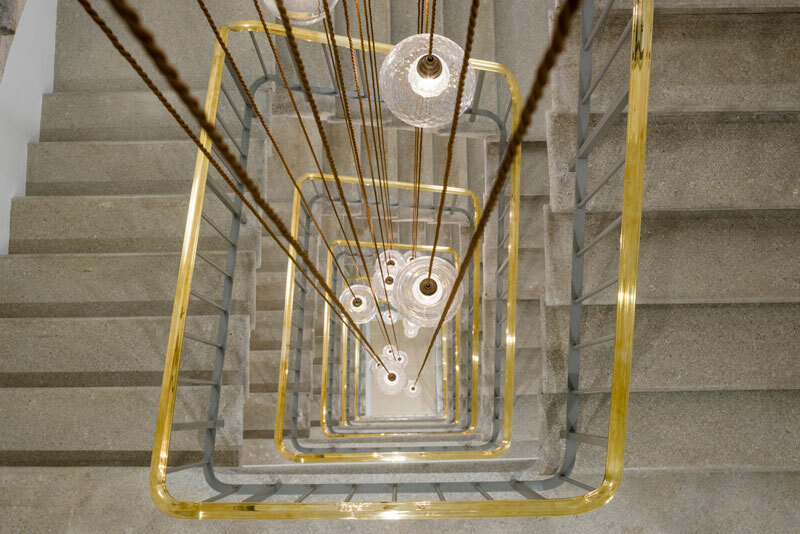 The stair itself is an original cantilevered terrazzo staircase, supported from the main structure. Together, the new and the old combine to create a crisp and elegant atmosphere, breathing new life into this beautiful building.